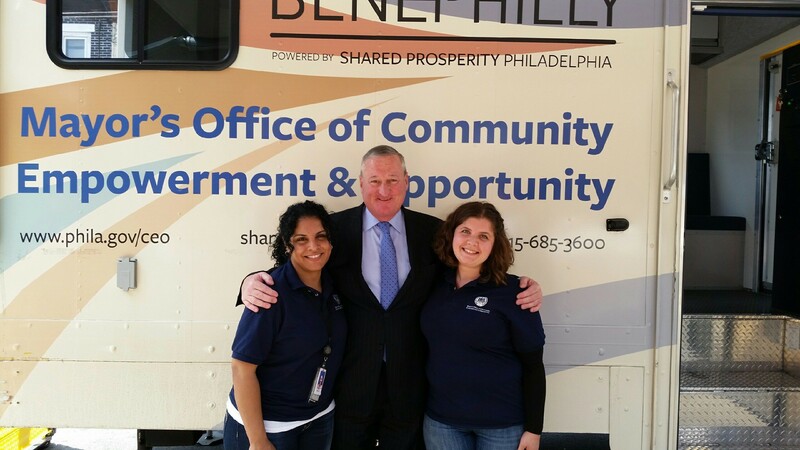 In addition to full service BenePhilly Center, CEO operates a mobile Benefits Access Unit, made up of CEO staff members who are deployed at public offices and non-profit social services organizations through the city. The mobile unit is an effort to reach even more low-income Philadelphians and connect them with the public benefits and other resources they deserve. It provides many of the same services as the BenePhilly Centers. The mobile Benefits Access Unit has regular hours at the City of Philadelphia, Municipal Services Building, located at 2761 North 22nd Street, Philadelphia, Pennsylvania 19132. The mobile unit operates the BenePhilly Vehicle, which is a fully equipped, wi-fi enabled office that travels to targeted and underserved areas, as well as neighborhood events. The staff on the vehicle provide information on eligibility requirements and can start the application process on the spot. 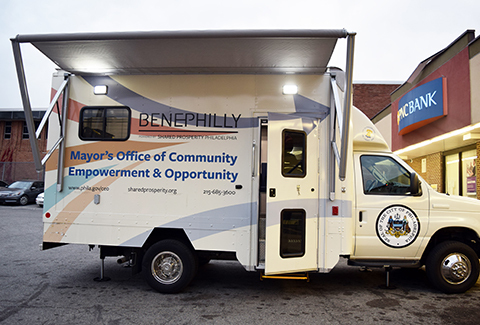 For more information about the Benefits Access Unit or the BenePhilly Vehicle, send an email to benephilly@phila.gov. Where is the BenePhilly Vehicle?